Although there is an abundance of plugins available for WordPress, there are some specific ones that you may want to install before you launch your new website. This is the premise to WPeka’s contribution to our blog, and referencing a suite of pro plugins that they offer as part of their Platinum Club Membership offering. For those that don’t know WPeka, it’s a popular blog covering WordPress, SEO, Web Design and Digital Marketing. They have been kind enough to provide us an exclusive discount for the club membership. When you create a new WordPress website, it is important to make it GDPR compliant. Your website should have policy pages to ensure that the site is safe enough to eradicate problems that may occur shortly. With an extended menu option, you can include or exclude legal pages. You can even add popups that are responsive and can be viewed from almost every device, be it a smartphone, desktop, or tablet. There is no denying the fact that search engine optimization is quite essential to rank your website higher. While starting a new website, you might not be aware of precise SEO techniques and tricks. In such a situation, this tool turns out to be helpful. This WordPress SEO Plugin comes with Page Analysis and XML Sitemaps optimization. 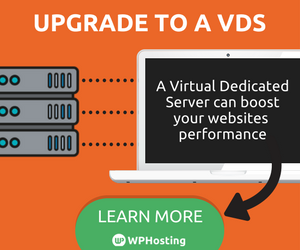 With this plugin, optimizing your WordPress website would be nothing but a breeze. You can analyze your real-time content and streamline your website. The plugin supports Webmaster integration. Furthermore, it also offers on-page optimization, social media SEO, title & meta tags, Moz integration, performance check, in-built security, navigational links, video SEO, and much more. Moving further down the list, Backup Breeze is another efficient plugin that you must install to your new WordPress website. With this plugin, you can take up a file backup, database backup, or complete website backup. With an automatic scheduler for backup, you can even schedule the perfect timing. Whether it is daily, weekly, or monthly backup – this plugin is proficient in executing everything seamlessly. Furthermore, you can even take automatic backups to Dropbox, Amazon S3, Google Drive, and FTP. When it comes to managing your Ads seamlessly, this plugin turns out to be a boon. With WP Ad Center, you can control every single aspect of advertising on any website powered by WordPress. You can even automate the entire process. This plugin helps you attain a detailed statistics report of your advertising. On the top of that, it automatically collects payments. With the help of campaign scheduler, you can get full administrative control over advertisements. Along with being fully responsive, this WordPress plugin offers unlimited campaigns setup and tuning. It doesn’t even pose any restrictions or limitations when it comes to setting an ad size. With this plugin, you can track CTR and can even export campaign data with ease. The ultimate goal for any website is to grab visitors’ attention, generate potential traffic, convert adequate leads, and promote some valuable offers, right? However, amidst everything, the execution process remains a massive exhausting task. But, maybe no more. This WP Exit Popup is meant to provide a profound view of anything you are promoting to your visitors. With this plugin, you can showcase your products as well as offers very subtly. It just takes a few clicks to create customizable, responsive, and effective popups. When nothing seems to be working out anymore, this WordPress Exit Popup helps you get more conversions and more leads without any hassle. One of the best ways to gain subscriptions is by organizing giveaways. And, this plugin helps you do just that in a right way. With WP Raffle, you can emphasize more on your social media marketing by giving away something for shares, tweets, and likes. Furthermore, such giveaways may even enhance as well as elevate your mailing list growth. This plugin is quite simple and easy to use. You have to enter the prize that you are going to give and select the type of entry for your users to participate. And just hit the launch button. The plugin also provides different options that you can put in front of your visitors. Be it liking a Facebook page, following a Twitter account, tweeting a message, or subscribing to the mailing list – you can surely experiment with this plugin in several ways. Not just that, but you can even download the data in CSV format. Are you willing to convert your visitors into potential customers? However, do you know what exactly your audience is searching? If you didn’t have the idea yet, Survey Funnel would help you find the best solution. With the help of this plugin, you can get qualified leads, engage your visitors, gain an insight into customer activities, and build your own sales funnel. Owing to its unique technique of funnel, this plugin allows you to boost your conversion by narrowing down your audience and directing them to a relevant page. You can even create target survey questions with this plugin. And, based on their answers, you can sectorize your customers efficiently. You can even add up a lead generation form at the end if you wish to increase your list of subscribers. Although putting up images on your website is one of the great ways to attract an audience, however, filling up your web pages with nothing but pictures isn’t a correct way of execution. So, hence, this plugin will help you do it in the right manner. With this plugin, you can create responsive picture collages and embed them on your website anywhere. Not just you can use images from the WordPress image media gallery but can also fetch them from Instagram and Pinterest to design collages. This plugin also provides you with several animation effects to make collages look more attractive. Furthermore, the tool even provides advanced customization options where you can select themes, adjust dimensions, and can use random styles. An Automated Business Directory plugin; WP Local Plus assists you when it comes to creating local business directories. The plugin is competent enough to build local communities in different areas. Furthermore, to save your time and efforts, WP Local Plus provides an automatic process for generating such listings. You can even display local deals and discounts offered by owners to enhance the content even more. Being fully responsive, this plugin displays your listings on every device, without compromising with the resolution or breaking the site. Not just it creates listings, but also provides in-depth data, including location, website, map, reviews, and more. WP Local Plus also updates listings automatically. Along with Google Maps Integration and Featured Ads System, this plugin provides several other amazing features. WP Auction Software is one of the most responsive and powerful plugins that can help you build a comprehensible auction website. If you are contemplating to create a website that will help you sell items and allow others to do the same, or invite bids and list projects, then this is the plugin you must install. Being fully responsive, this plugin helps you build an auction website, just like eBay. You can even schedule auctions as per your preferred time. With utmost security, this plugin will only allow registered users to place a bid. Furthermore, the plugin also supports keyword search as well as Stripe Addon. You can even integrate Authorize.net and PayPal for smooth and easy transactions. The plugin also provides an extensive list of advanced features, such as Internal Invoicing, mailing system, digital products, and much more. In conclusion – Every site is different, and in case you may need plugins that fulfill a specific function. If you’re publishing an eZine you may not need to run an auction, but will want to need a tool to manage your adverting real estate. That said, you will find yourself installing the same bundle of plugins for any type of site, covering SEO, security, back ups and GDPR. WPeka have done a goods job to develop a wide range of useful ‘pro’ plugins that are very affordable on the subscription plan, and even more so if you use the discount code below. This gives you access to over 100 premium plugins. Simply enter the wphosting50 discount code when signing up for the paid plan.